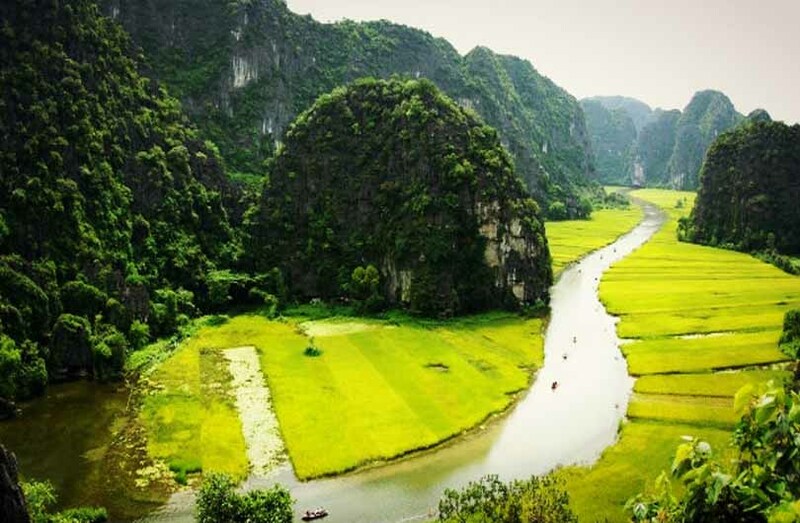 From the buzz and excitement of Saigon to the quiet elegance of Hanoi city, this 10 day Vietnam tour covers all the best parts of Vietnam. 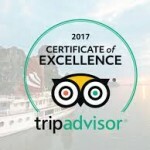 The highlight has to be a luxury overnight stay on a traditional Vietnamese Junk boat in Ha Long Bay which allows you to relax whilst admiring the stunning limestone scenery. Also we have time to enjoy the charming seaside town of Hoi An and experience history at the Cu Chi Tunnels and the unique Mekong Delta. Breakfast at hotel. 08.30: the day is dedicated to a more in depth discovery of Hanoi beginning with a visit to Ho Chi Minh’s mausoleum (Shorts and top tanks are not allowed (closed Mondays and Fridays). Continue your tour with a visit to Tran Quoc pagoda located on the shores of West lake. Next, visit the temple of Literature, a structure dedicated to Confucius. It was constructed in 1070, the compound soon became the first Vietnamese university. You will then enjoy lunch at a local restaurant, where you will have the opportunity to sample some regional delicacies. In the early afternoon, visit the renowned museum of Ethnology (closed Mondays), which houses an interesting collection of artifacts relating to the mosaic of ethnic groups that inhabit Vietnam. This afternoon’s touring will also provide the opportunity to see Hanoi’s famed Old Quarter from the seats of cyclos. You will conclude your day city tour by visiting to the temple of Jade at the centre of atmospheric Hoan Kiem lake, otherwise known as the lake of ‘the restored sword’. Then free for a stroll along the boulevards of the old colonial quarter where you can view some of the best French architecture in South East Asia. Your last activity will be held at Hanoi’s water puppet theatre with a performance of the traditional show. Dinner on your own. Overnight at hotel in Hanoi. 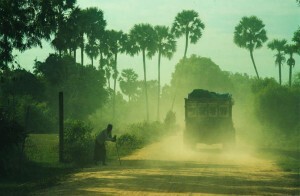 Continue your tour with a journey through bustling villages, rice paddies and beautiful limestone rock formations. We arrive at Hoa Lu, the capital of Vietnam for 41 years under the Dinh and Le dynasties (between 968 and 980), to discover beautiful shrines dedicated to the Emperor Le Dinh, the first ruler to unify the country. Aside from this important historical site, this region is also worth a visit for its rolling hills and picturesque rocky landscapes. After that, return to Hanoi. Dinner on your own. Overnight at hotel in Hanoi. 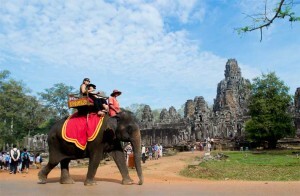 Note: In place of Tam Coc, you can opt to visit either Trang An or Thung Nham. Breakfast at hotel. 08:00 : depart Hanoi for the world famous Halong Bay, ‘the descending dragon’, a journey of approximately 3.5 hours. Listed as a World Heritage site by UNESCO, Ha Long Bay is a stunning limestone archipelago stretching over some 1500 square kilometers and comprising nearly 2000 islets. You will board our junk for a memorable cruise through the ‘eighth wonder of the world’ gliding gently past fishing communities and hidden cave systems. Lunch. After breakfast, continue your journey cruise through the breathtaking scenery of Bai Tu Long Bay. Bunch. After disembarking, transfer to Noi Bai airport for the flight to Hue. On arrival in Hue, transfer to hotel and check in. Dinner on your own. Overnight at hotel in Hue. Breakfast at hotel. 08.00: you will spend a full day to visit Hue, former capital of Vietnam from 1802 to 1945 during the reign of the Nguyen dynasty emperors, declared a world heritage site by UNESCO in 1993. Cruise in a sampan on the Perfume river to Thien Mu pagoda, or pagoda of the Heavenly Lady, a Buddhist shrine dated from the mid-seventeenth century. Located on the banks of the Perfume River, it is easily recognizable by its octagonal tower. Option 1 (extra cost): Royal performance of ancient dancing and music, a world intangible heritage recognized by UNESCO in 2003, is presented in the citadel. Breakfast at hotel. Transfer to the Da Nang airport for your flight to Saigon. Arrive in Saigon, transfer to your hotel. Breakfast at hotel. 08:00 You will be picked up at your hotel . Transfer to Ben Tre. 10:00 Arrive at Ben Tre town, take a boat trip on Mekong river. Sight-seeing local activities on river. Stop to see how people make bricks, salts, coconut worshop. Boat on Cai Son and Nhan Thanh creeks to see some family making mats. 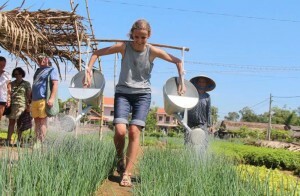 Take pull cart (xe lôi) passing by rice fields and vegetable plains to know how to culture in country. 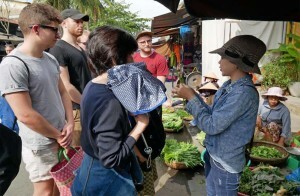 12:00 Stop to Mr. Hai Ho house for learning how to cook local food, then enjoy your lunch. In the afternoon, take rowing-boat along water palm creek. Boating a long Cai Coi creek back to Ben Tre city. Then move back to Saigon. Dinner on your own. Overnight at hotel in Saigon. Free at your own time until the driver meets you then transfers to the airport for your flight home.